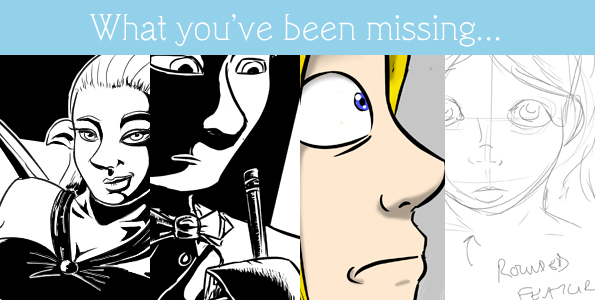 I have a couple of website-related announcements to make, so listen up! 1.) Moving forward, I have disabled comments on blog posts (like this one) and comic posts. Now, this is in no way to punish anyone for anything. The majority of you have been very civil and supportive, and I’ve valued your comments over the years. However, there are a few reasons that I’m doing this, from the mere aesthetics of the site to trying to encourage readers to use social media more. So I apologize if this upsets you, but please know that there are a bunch of other ways to communicate with me! See all those buttons in the upper right-hand corner of the site? Go nuts! I have changed my mind on this. Comments are back up, but I still want to encourage activity via social networking. 2.) I have removed the last remaining Google Ads from my website. I am making enough money via Patreon at this point that I can survive without the little bit of money I was making from Google. So for that, you’re welcome. I will be putting something there that is more Bardsworth-related in the future. And that’s all for now! There might be other little tweaks here and there, but nothing else major. So the baby arrived this past weekend, and as such my schedule was thrown for a loop. I was able to finish this week’s line art and it’s available to view on Patreon, but I won’t be able to finish coloring it until tonight. And I will be trying my hardest to get next week’s update done as well as this month’s bonus update. In the meantime, I hope you’re enjoying the current story! Hi everyone! I just wanted to take a moment to warn you that we are nearing the proposed delivery date of the newest addition to our household. As such, if there is unexpected radio silence from me and no updates to be read, it means we are busy ushering a new life into the world. But I will do my best to continue providing content in some form for your reading pleasure. tl;dr – Baby coming, updates may be delayed, but I’ll do what I can. I’ll have the update posted as soon as I can, I promise! Things are getting crazy here at Casa de Tarkulich as the new baby is gearing up for arrival. 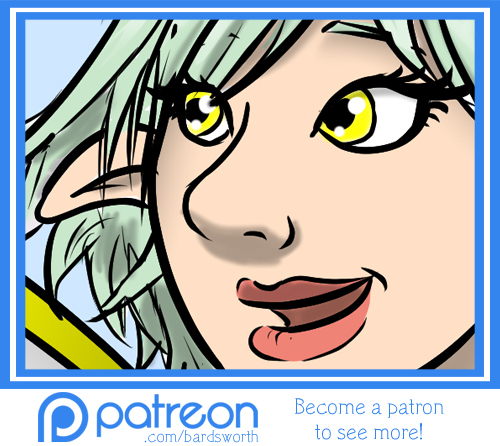 In the meantime, patrons can view the line art over at Patreon. 1.) We did not make our monthly goal of $100 this month, so I’m sad to say there will be no extra update. The good news is that we’re only less than one dollar away, so if anyone wants to step up to the plate and fill that gap, we’ll be good to go for next month! 3.) I did a monthly round-up so you can get an idea of what goes on behind the mysterious walls of the Bardsworth Patreon page. Read about it here.